Optional tops include Stoneworks® Faux Granite, Sabia, and Summit Table Tops. 1/2" to 1" higher than base height listed. Build a fashionable and elegant setting in any public space by pairing this table with Evo Dining or Side Chairs. 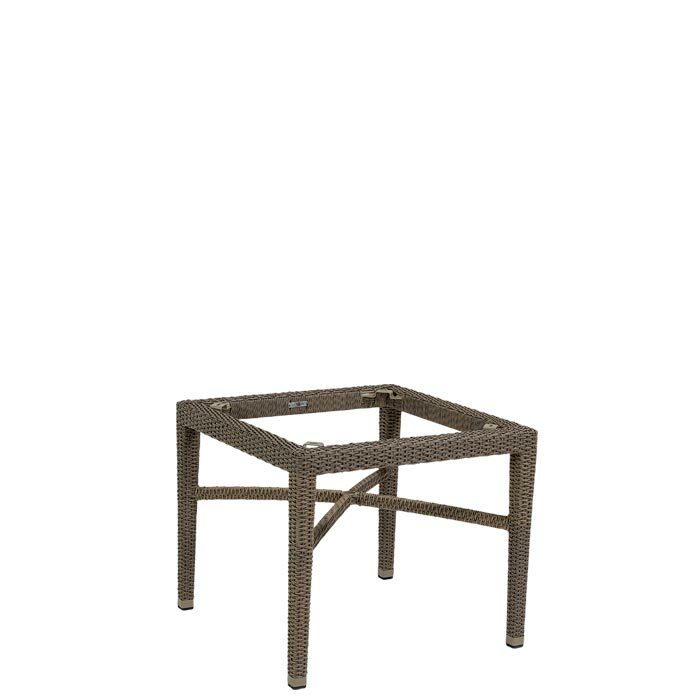 The Evo Woven Dining Table Base features a TropiKane® Basket or Vineyard Weave. Select a Stoneworks® Faux Granite or Summit Table Top to complete the look. Evo is truly an evolution of style, design, comfort and durability.